We’re putting together a database of Train the Trainer sessions held since Reversing Runaway Inequality started in 2015. What started out with just a few T4T events our first year has gained momentum. 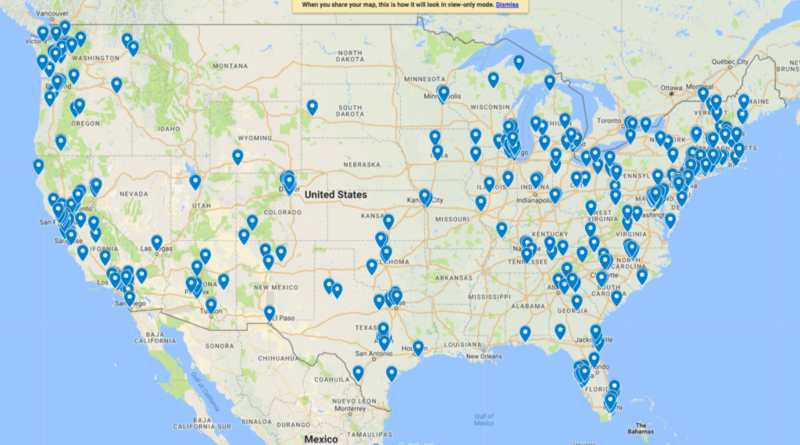 We’re now up to 486 people on our Trainers Map (there are two not shown in Hawaii), and more than 3,500 people having participated in a training. We’ll have a more precise number and more details when we finish the database. Who Wants To Be A Trainer? And Where Are They?